• The nearest free sandy beach is Lu Bagnu, 6 Km away. • For rocky waters, if you are fond of diving or want to try a snorkelling experience with your family, Castelsardo is 6 km away. 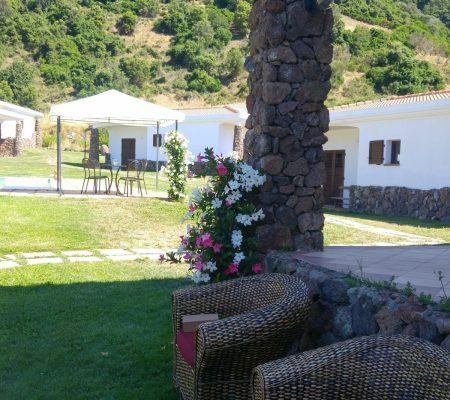 • Tergu with its 1,200 Romanesque Church is 10 km away, the prehistoric domus Dejanas 10 km, and the medieval village of Castelsardo, with its charming old town, just 6 km. • Alghero, the “Catalan city famous for its ramparts and the lively bouquet of narrow streets in its old town, as well as the Costa Smeralda, VIP destination with internationally renowned venues, are 68 and 98 km away respectively.